Top digital transformation & motivational speaker, #1 bestselling author & futurist. Leaders this digital decade are made—not born. The key is understanding the balance of offline and online. Using profound and practical research, Qualman showcases the 5 Habits that drive success & happiness for employees, partners and customers in a WiFi World. Qualman reveals new techniques including Posting-It-Forward, Being FLAWsome , and other insights to positively impact and transform your audience & organization. What’s the difference between winners and losers in a digitally distracted society? Focus. Winners focus on what matters most. While simple, it’s not easy. The #1 killer of promising careers, teams, and businesses is a lack of focus. We either try to do too much, or we put our time, treasures, and trust into the wrong buckets. Qualman shares specic focus techniques used by the world’s most successful people and organizations. To ensure you are the disruptor versus the disrupted, you must understand societal shifts and instill a culture of creativity around them. This session looks at key future trends and their impact on your organization. Qualman provides the roadmap for your organization’s digital transformation by means of design thinking. Leap over the pitfalls of incremental change and land on a foundation of progressive and practical innovation principles. Future forward! 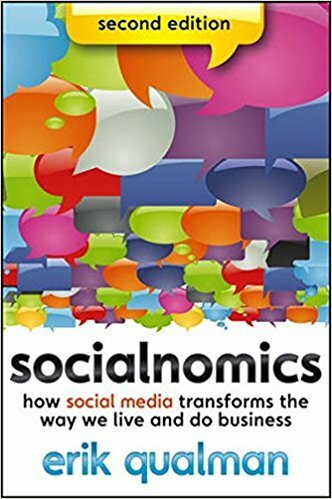 Based on his #1 Bestseller, Qualman dives into the powerful concept of Socialnomics. Word- of -Mouth is on digital steroids and has transformed into World-of-Mouth. Organizations must learn the new rules of social, mobile, and beyond or they will miss this once-in-a-generation opportunity to earn customers’ loyalty and drive long-term success. Socialnomics is the key to winning customers’ hearts, minds, and wallets. #1 Bestselling Author and Motivational Speaker Erik Qualman has performed in over 50 countries and reached 25 million people this decade. He was voted the 2nd Most Likeable Author in the World behind Harry Potter's J.K. Rowling. 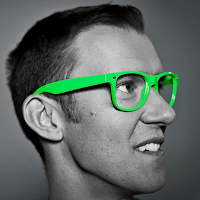 Erik Qualman has been called the Digital Dale Carnegie and the Tony Robbins of Tech. His entertaining, educating, and empowering style is made possible by his revolutionary video-storytellingcapability. His business books are used in over 200 universities and have been translated into 8 languages. He has received an honorary doctorate for his groundbreaking work. Qualman was formerly a sitting professor at Harvard & MIT’s edX labs. 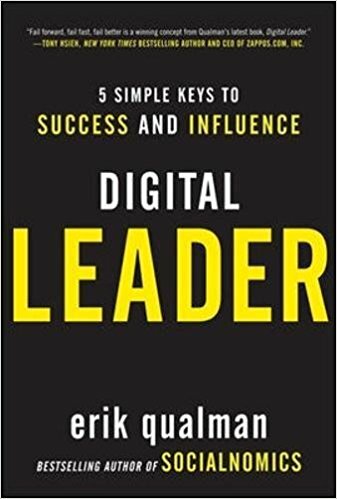 NYU Stern signified Qualman is to digital leadership what Deming is to quality and Drucker is to management. Qualman is also the founder of Equalman Studios which has produced film and animation projects for the likes of Disney, Cartier, CompuCom, Chase, Hearts on Fire, IBM, and many other global brands.